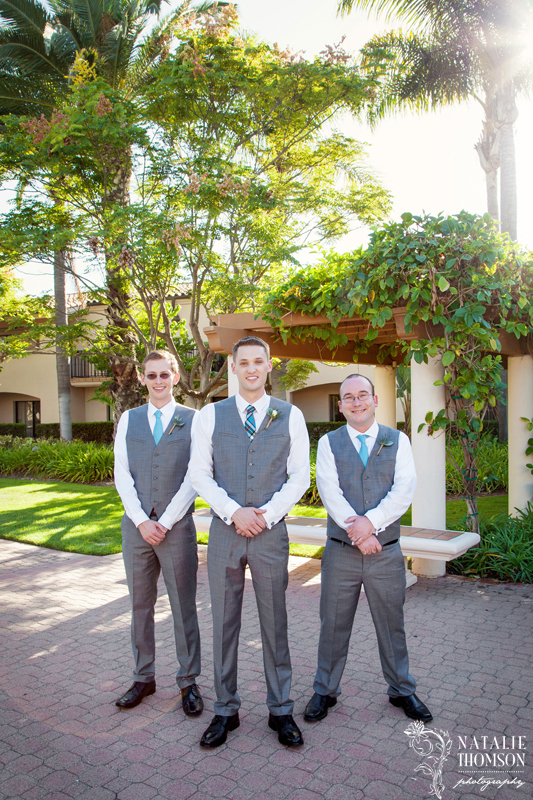 This wedding was a special one for me, as it was my brother's!!! 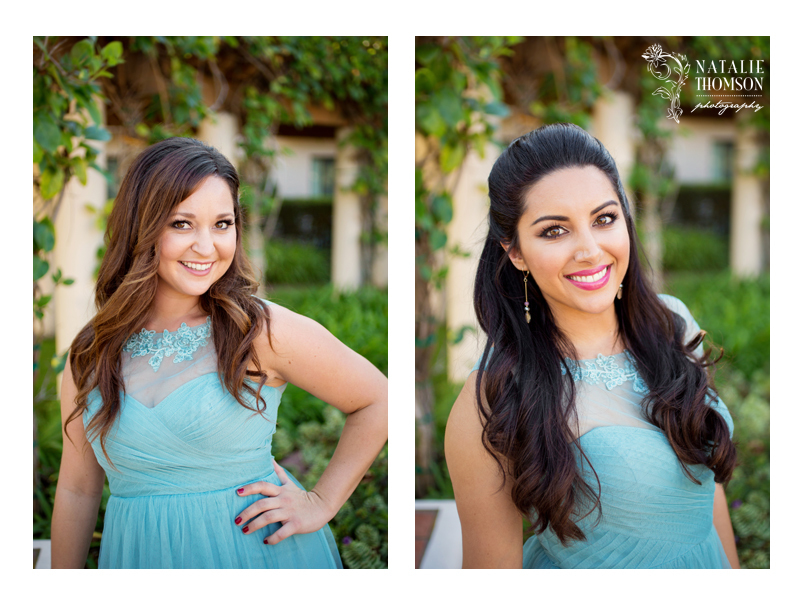 Special thank you to Kimberly Taff for second shooting with me so I could enjoy and be in some of the photos! 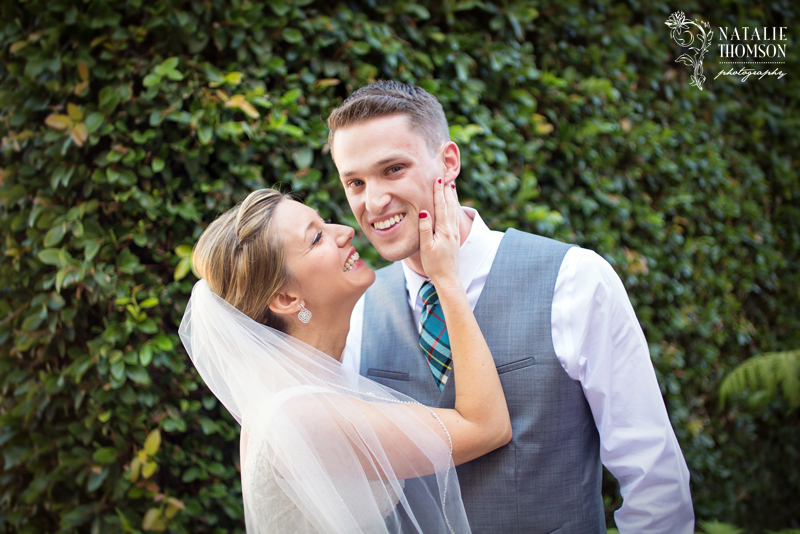 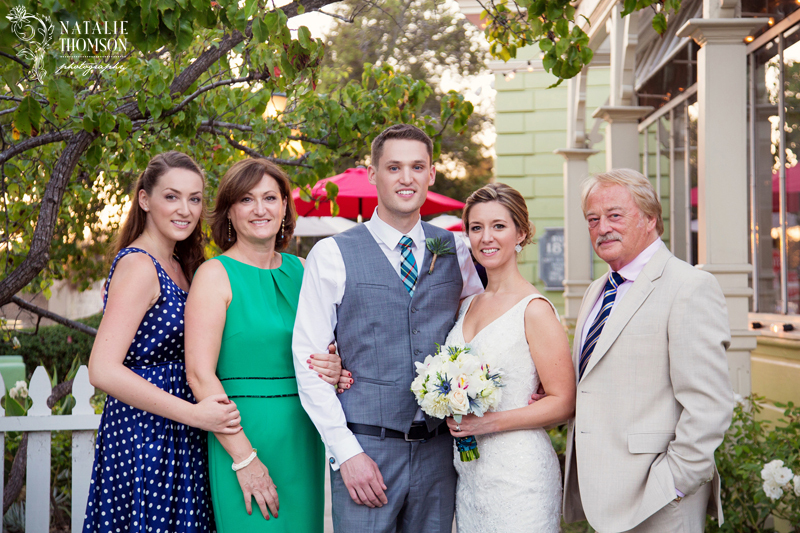 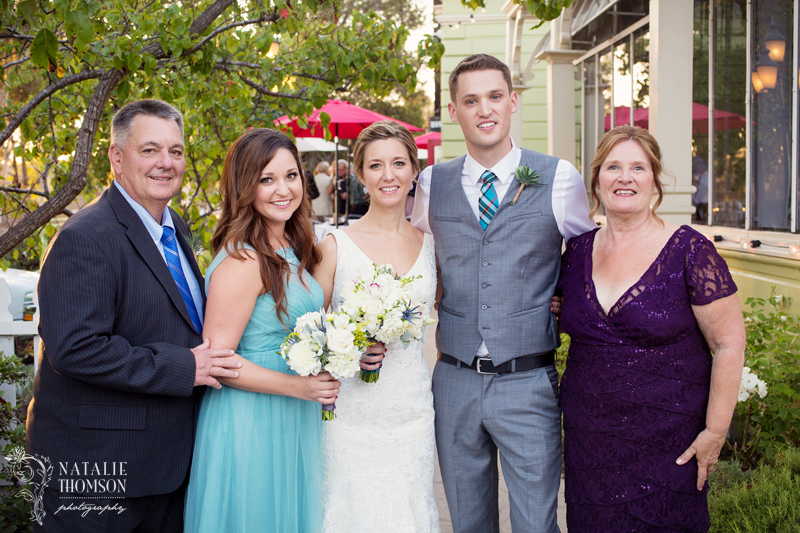 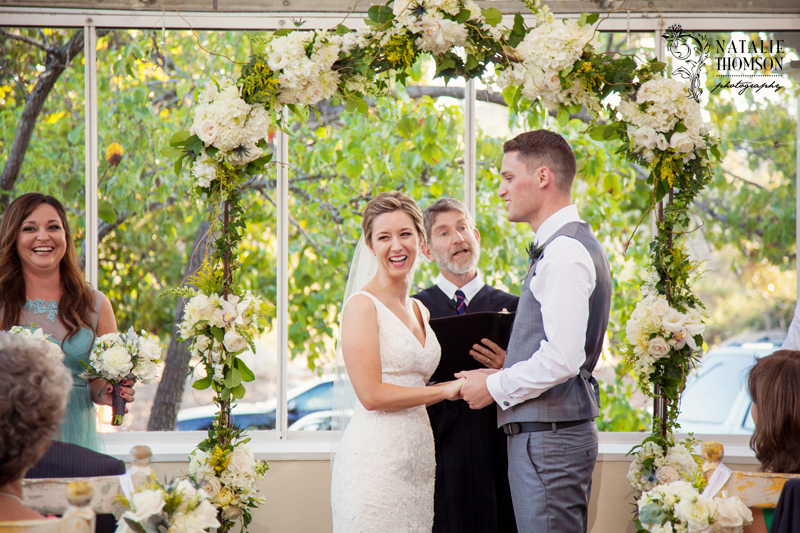 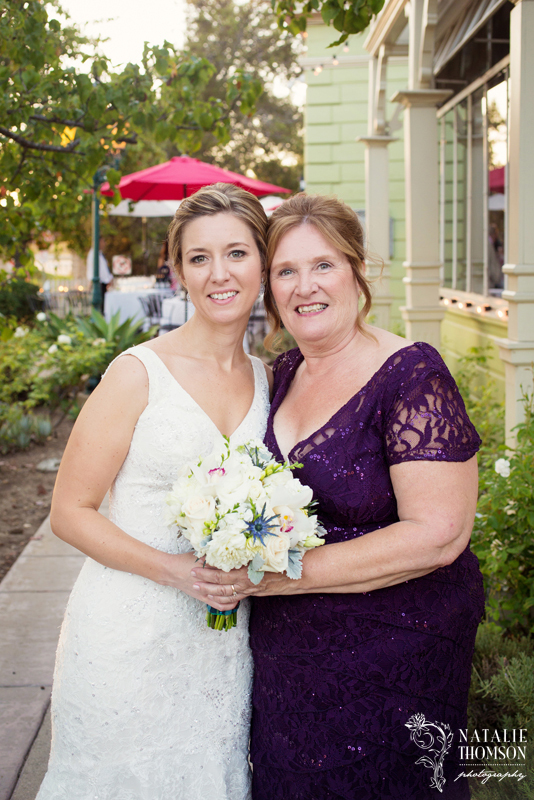 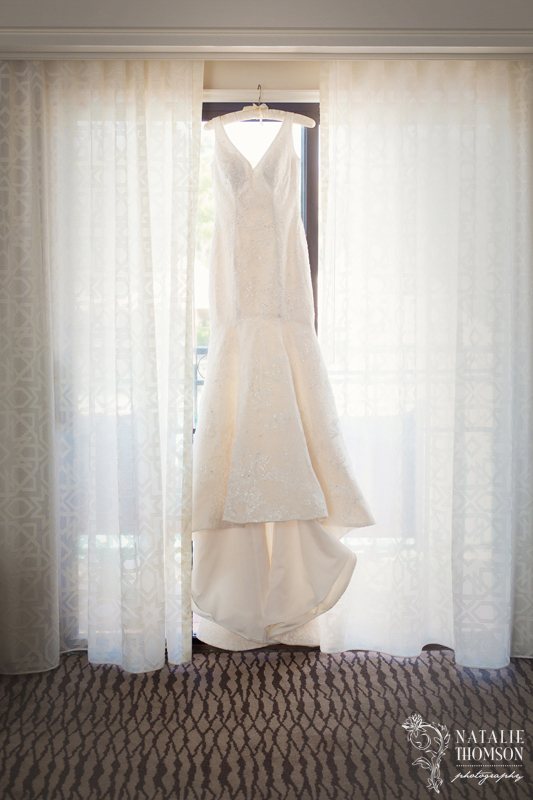 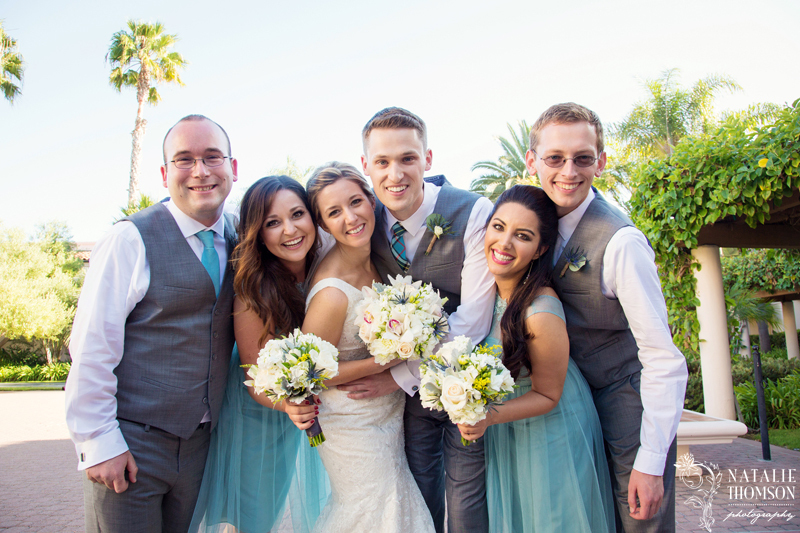 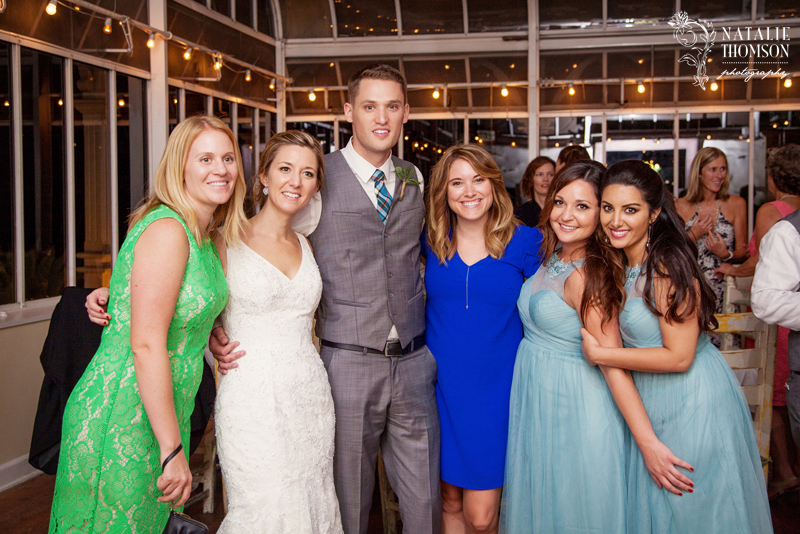 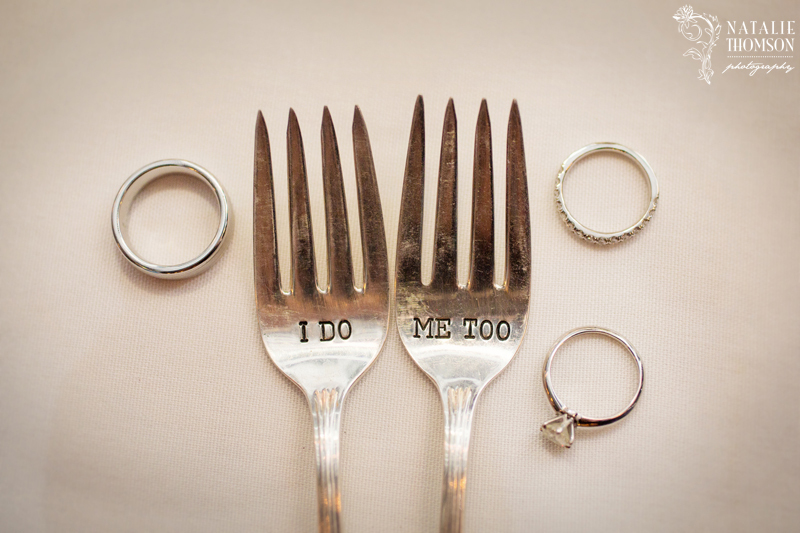 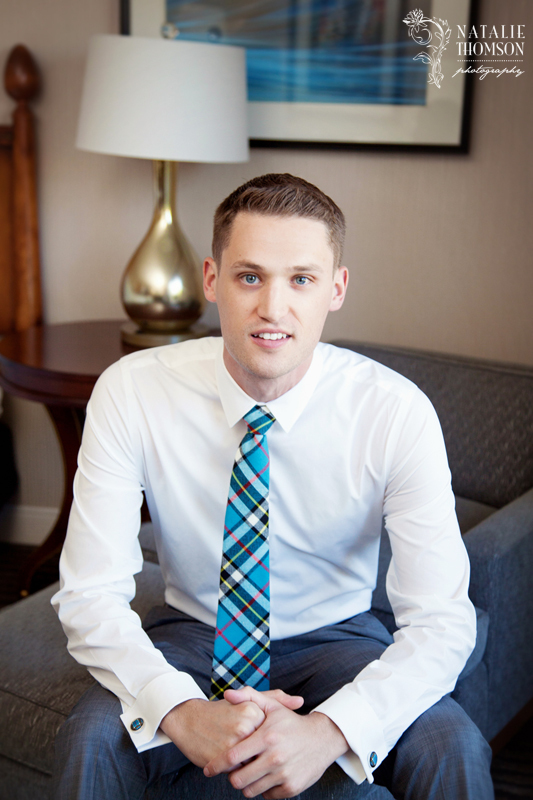 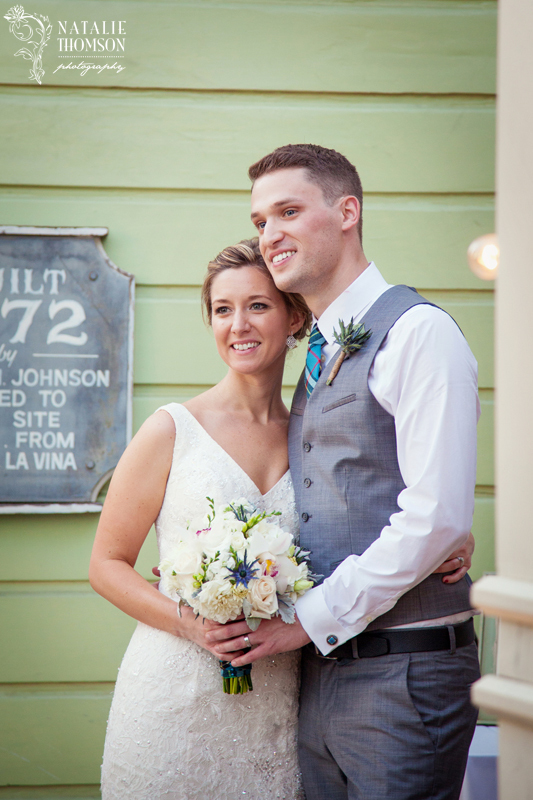 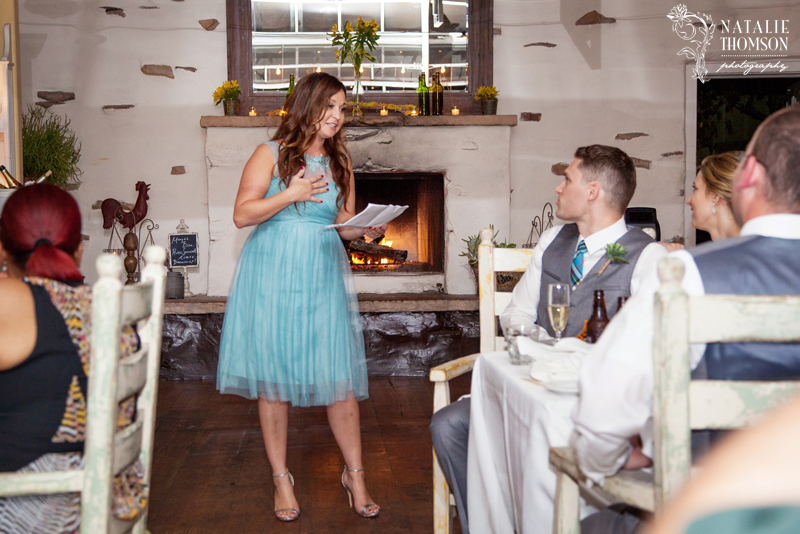 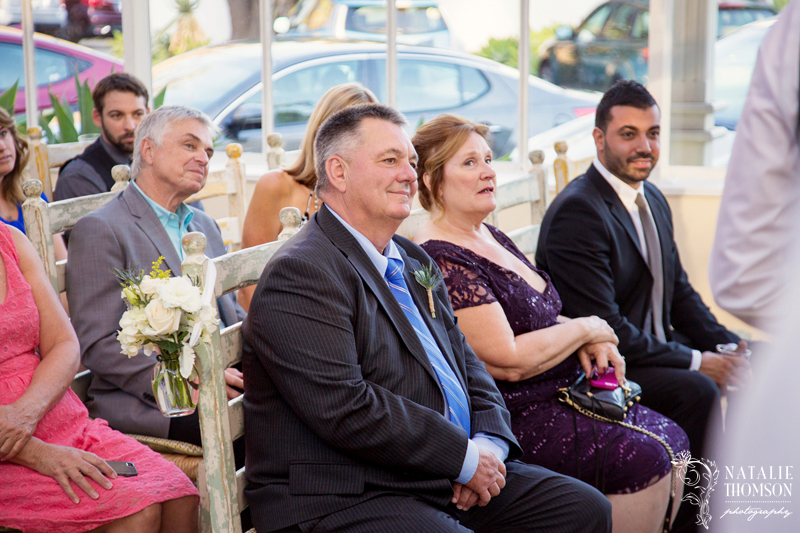 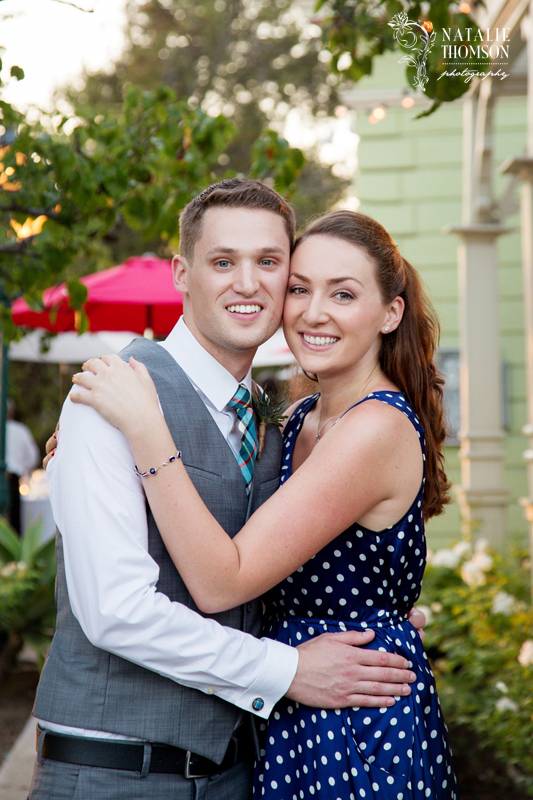 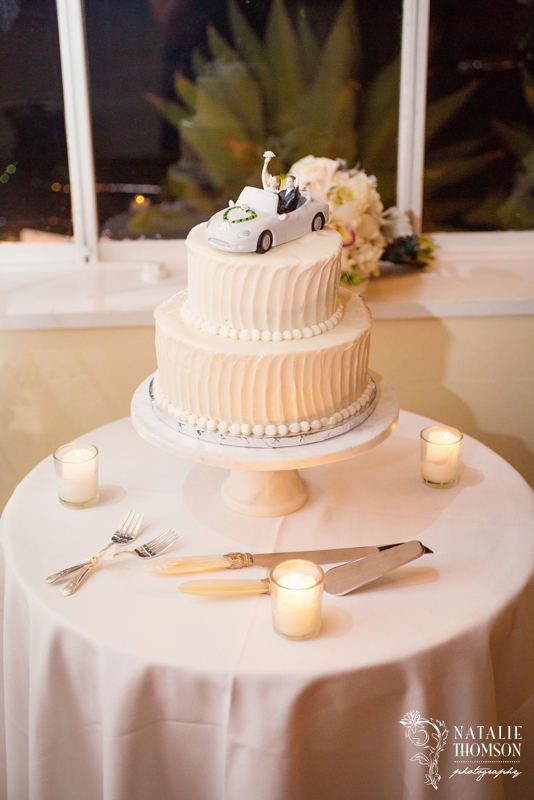 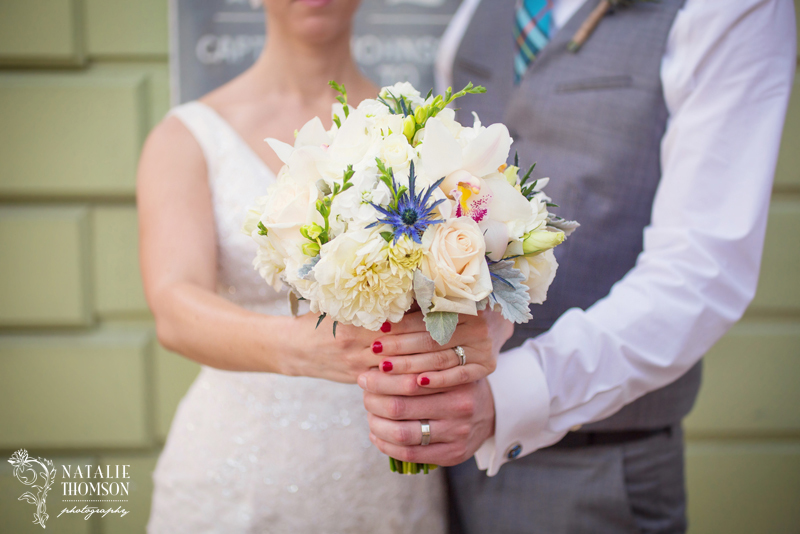 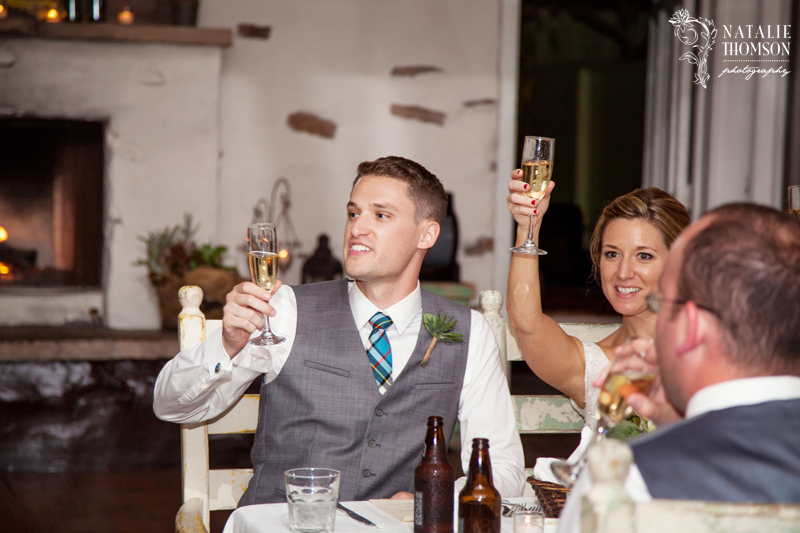 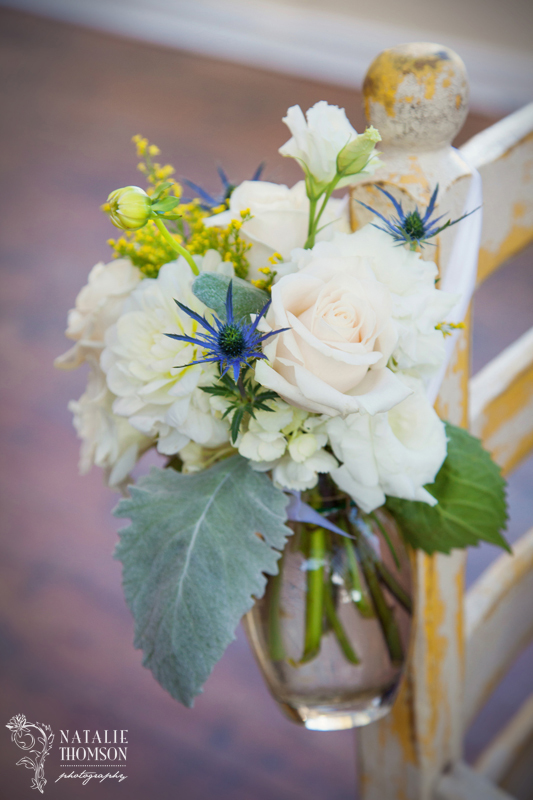 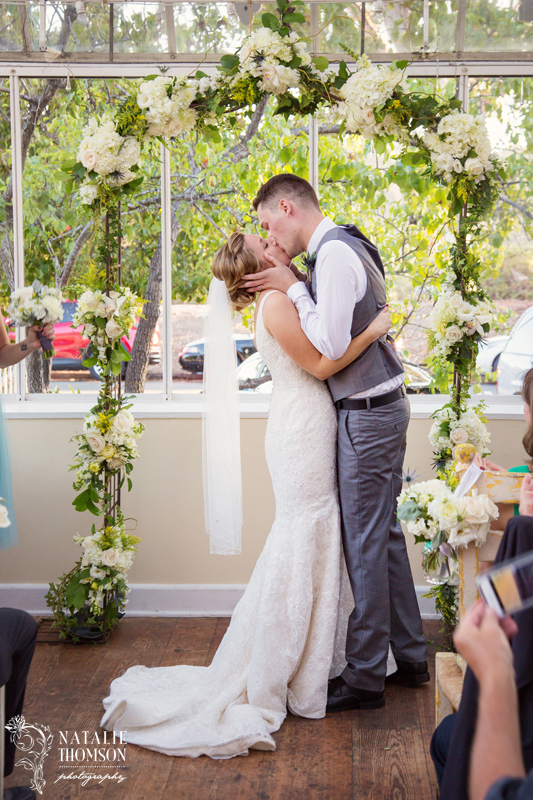 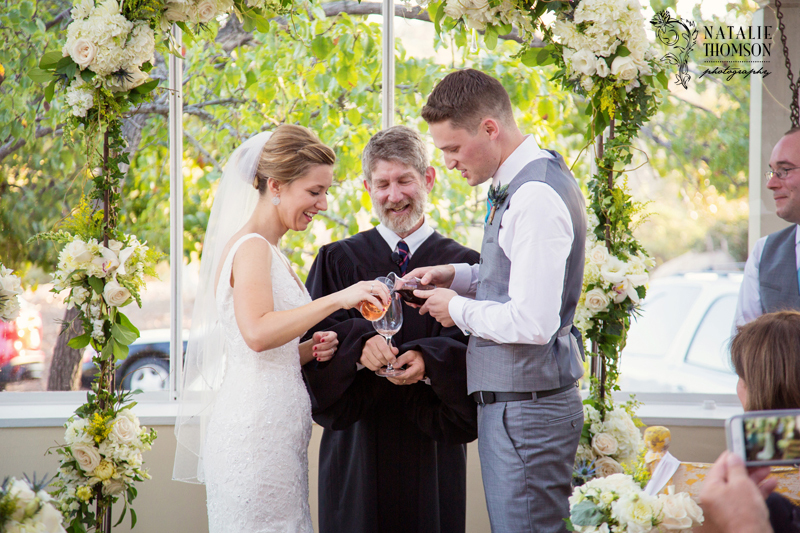 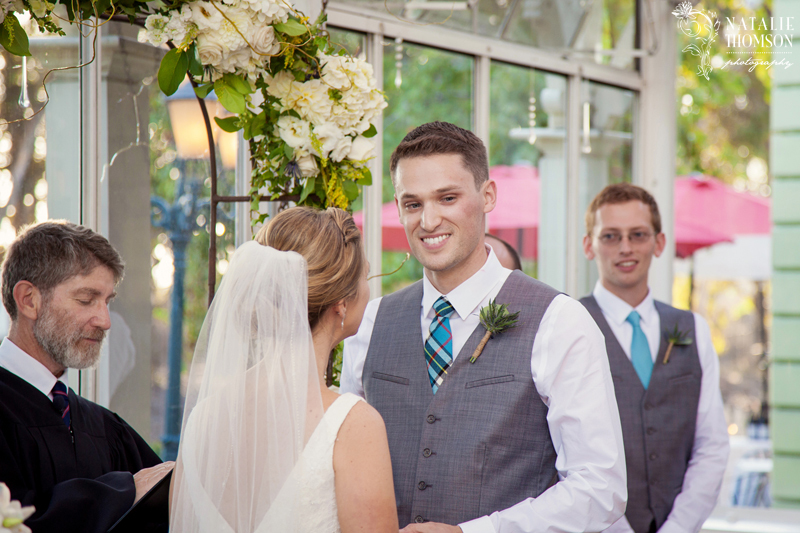 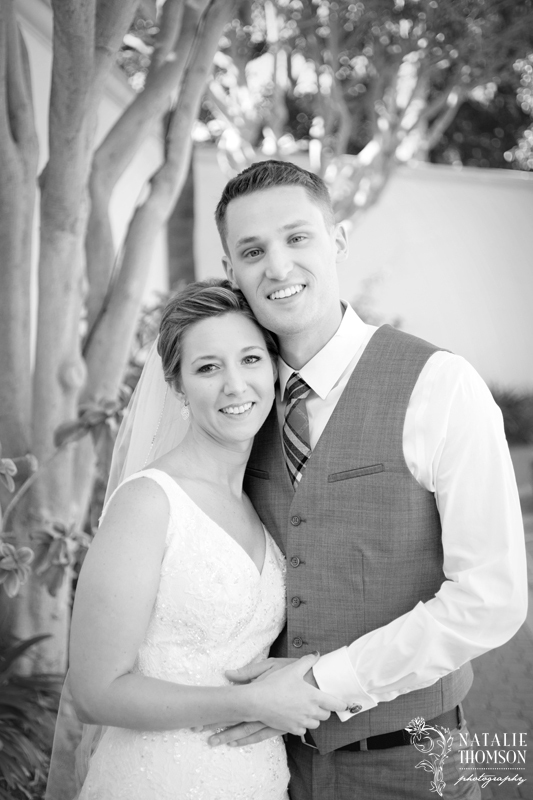 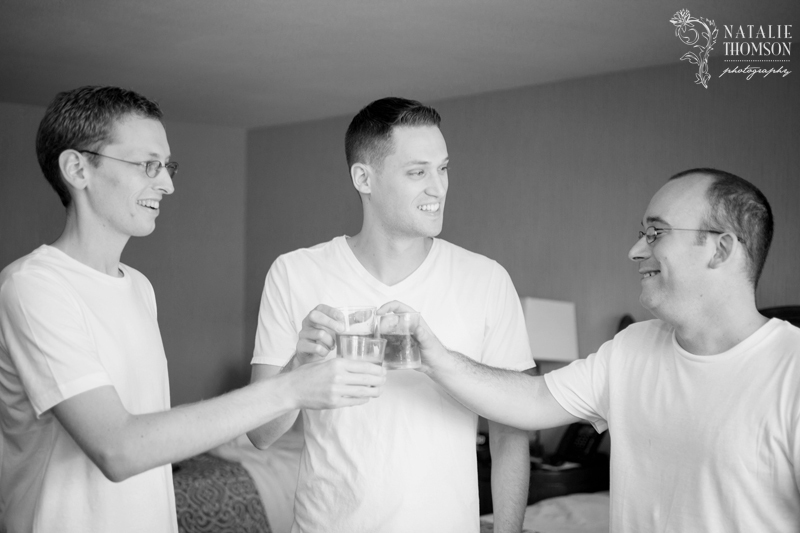 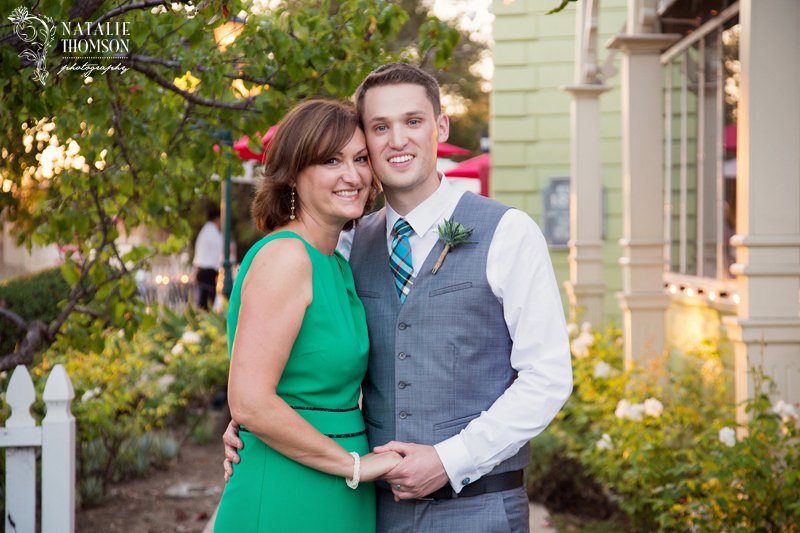 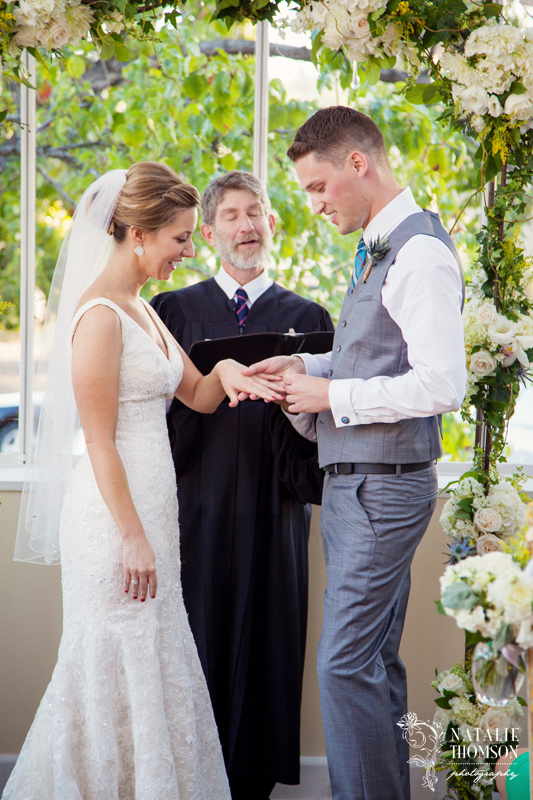 Paul and Jenn live up in the Bay Area, but wanted to do a semi-destination wedding for their special day. 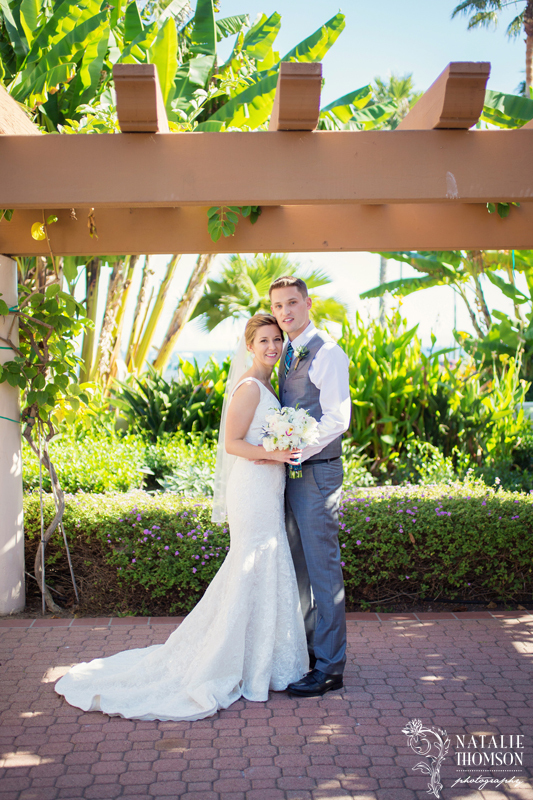 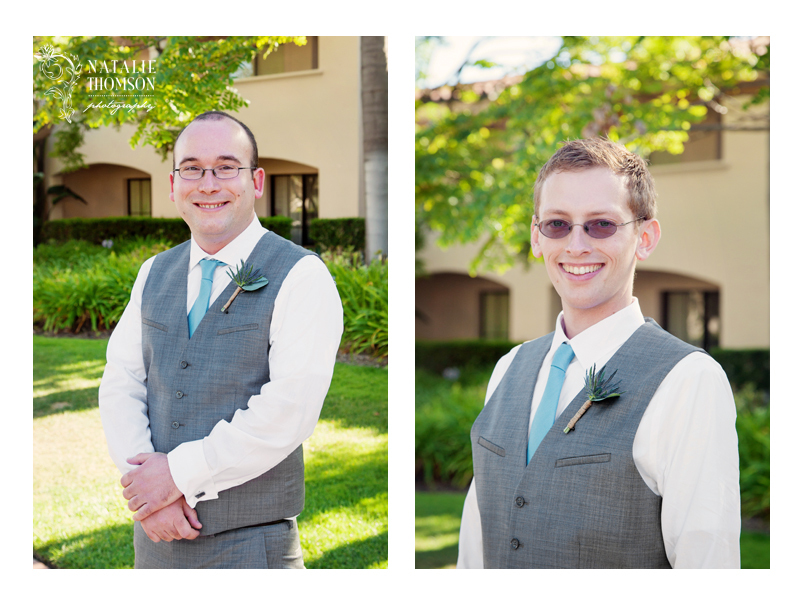 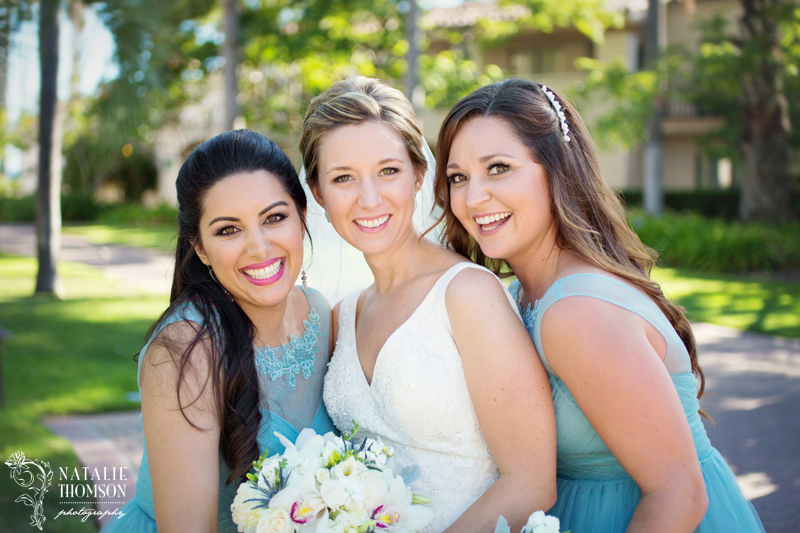 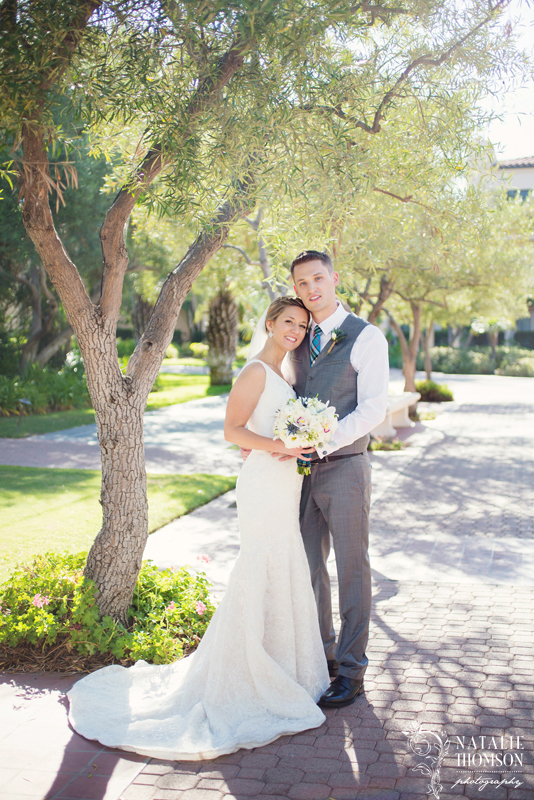 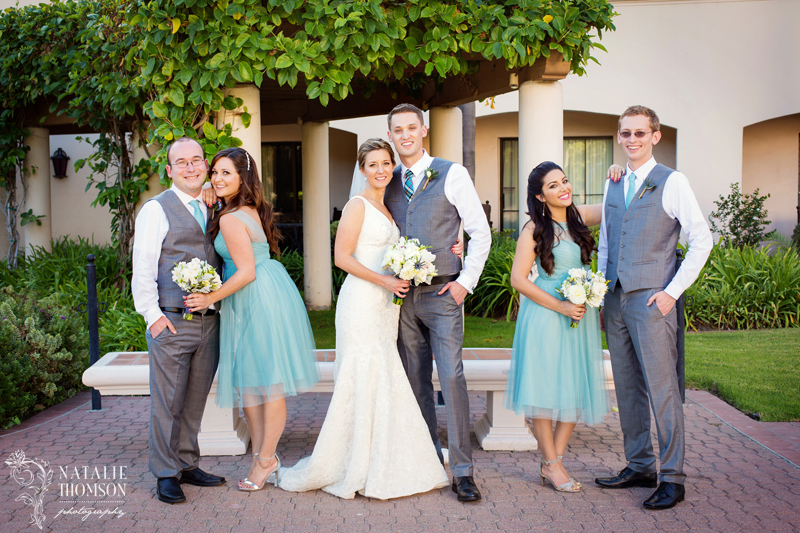 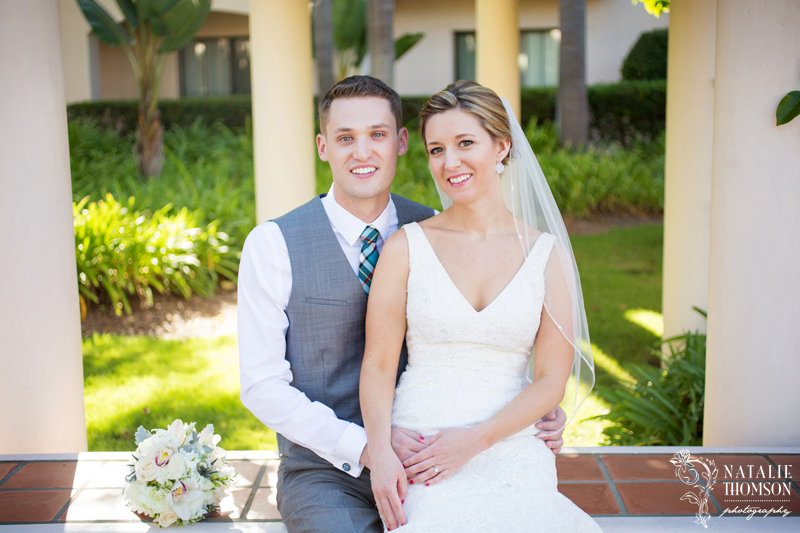 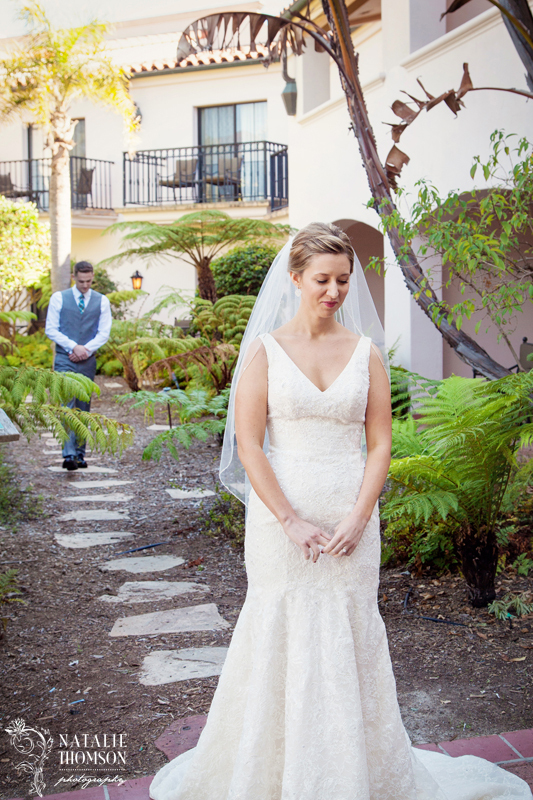 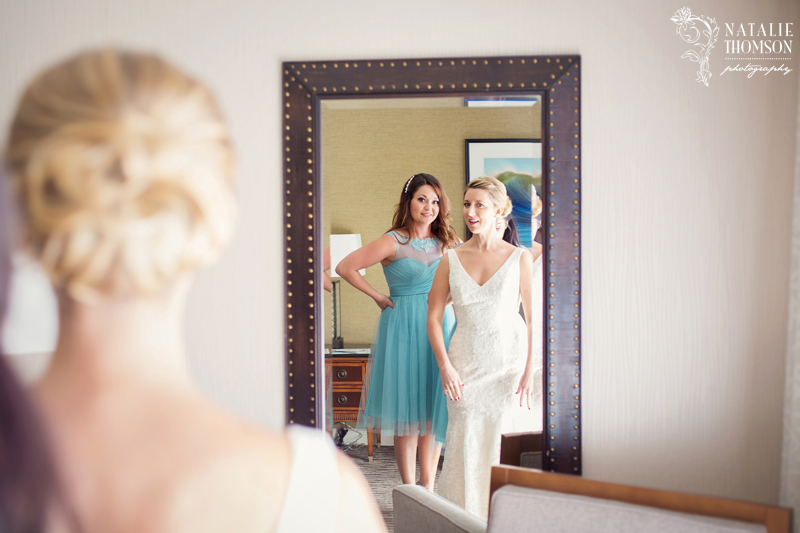 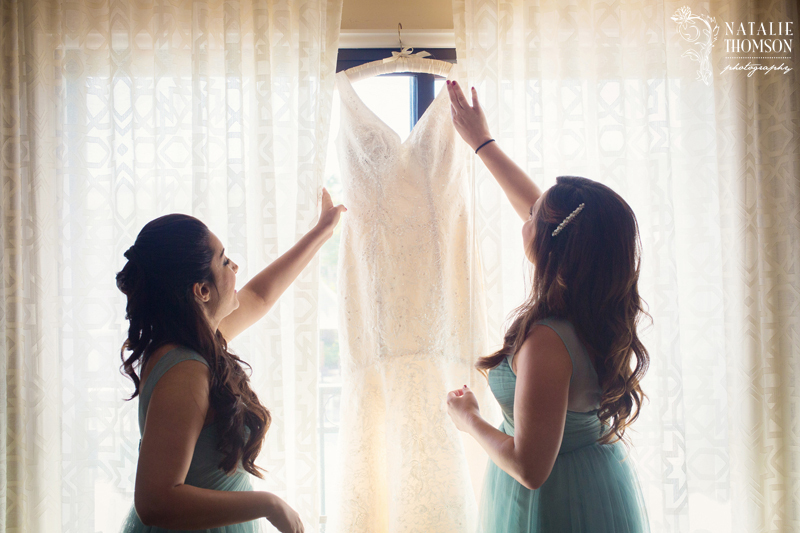 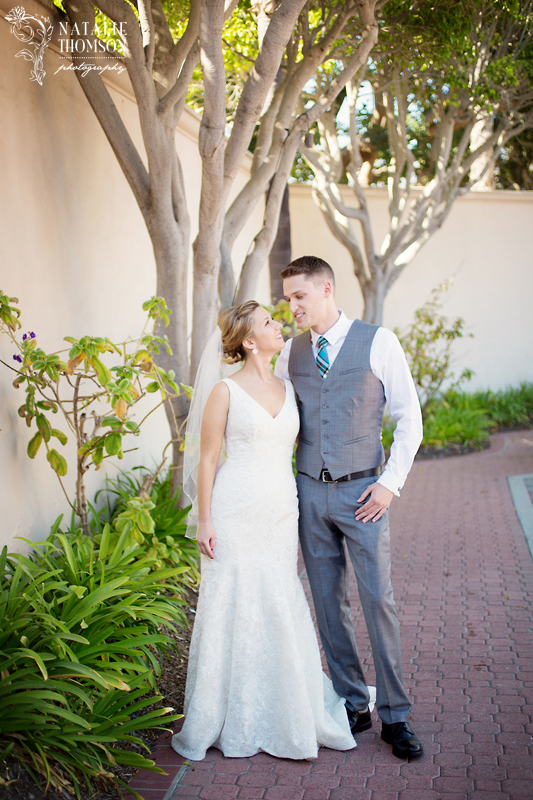 They stayed at The Fess Parker Double Tree and we were able to capture their first look and some wedding party photos there. 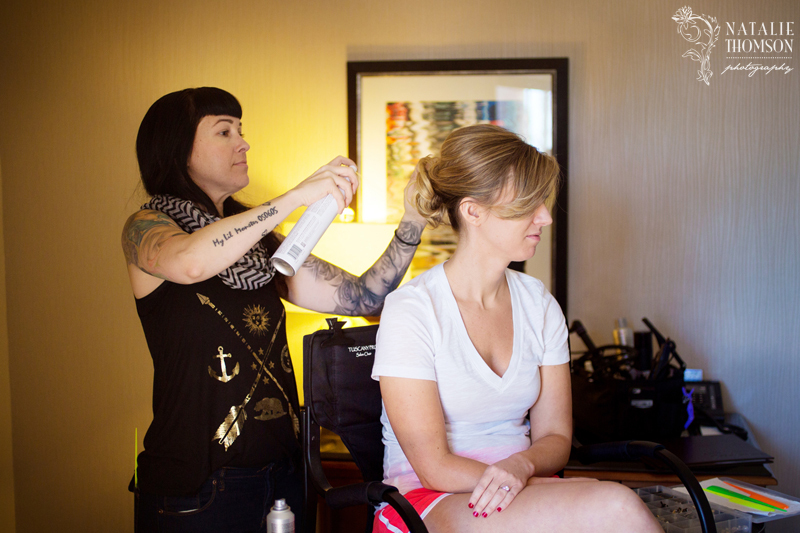 The getting ready photos started at Fess Parker with hair and make up provided by La Rouge Artistry. 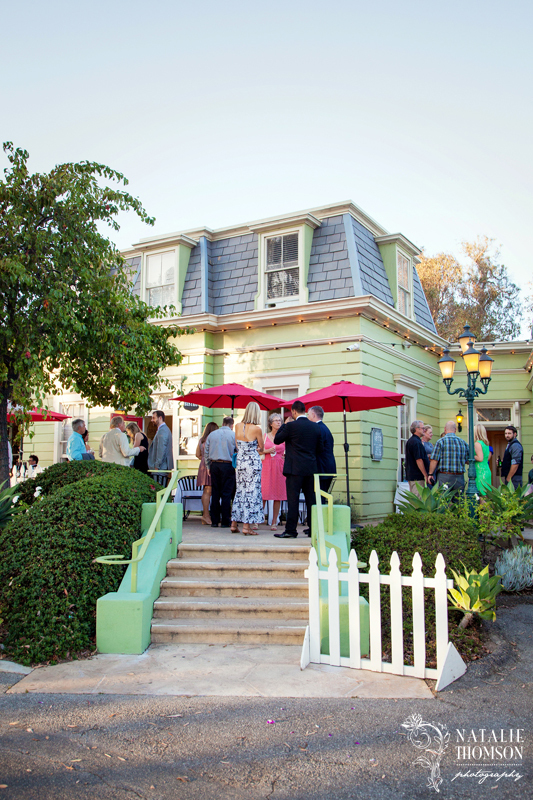 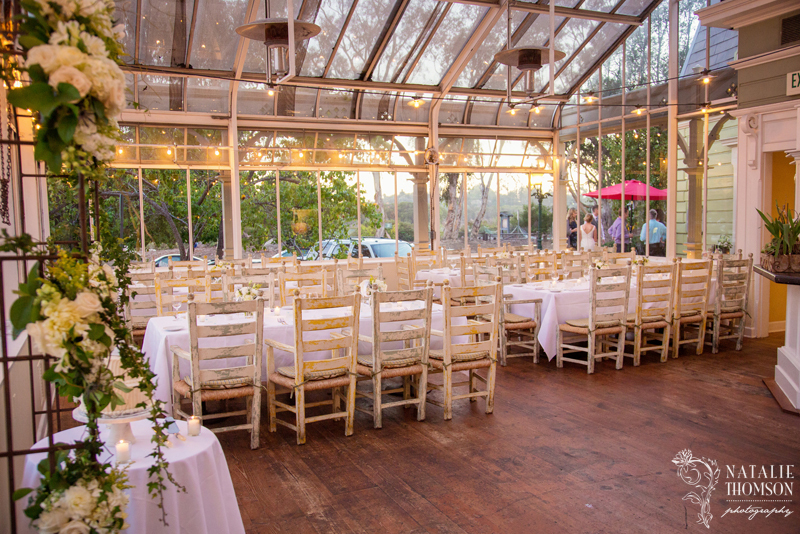 After the first look and some photos, we headed over to the ceremony and reception venue of Stella Mare's. 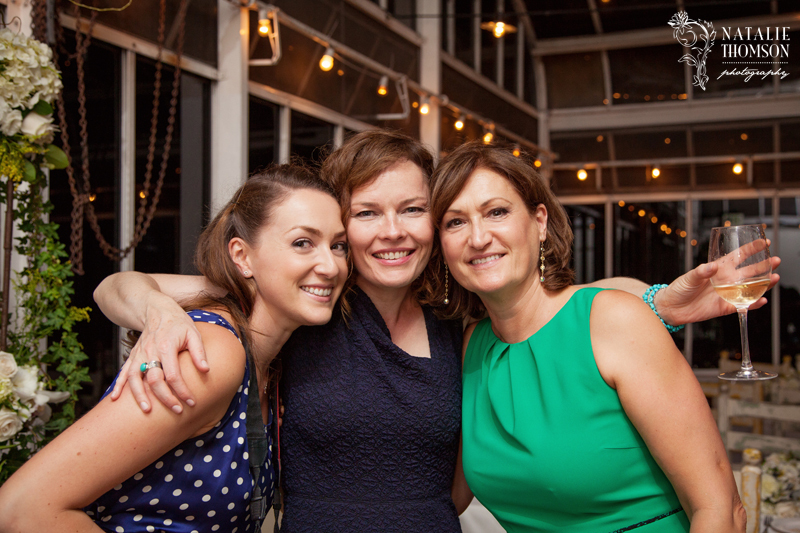 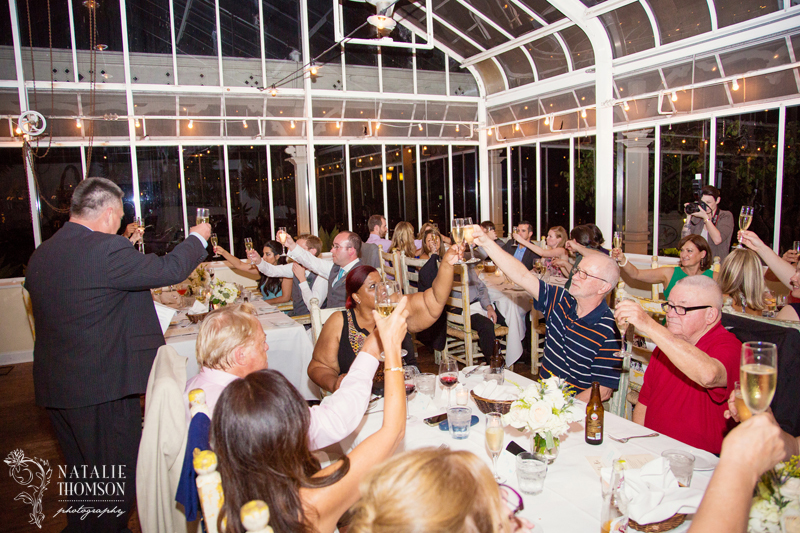 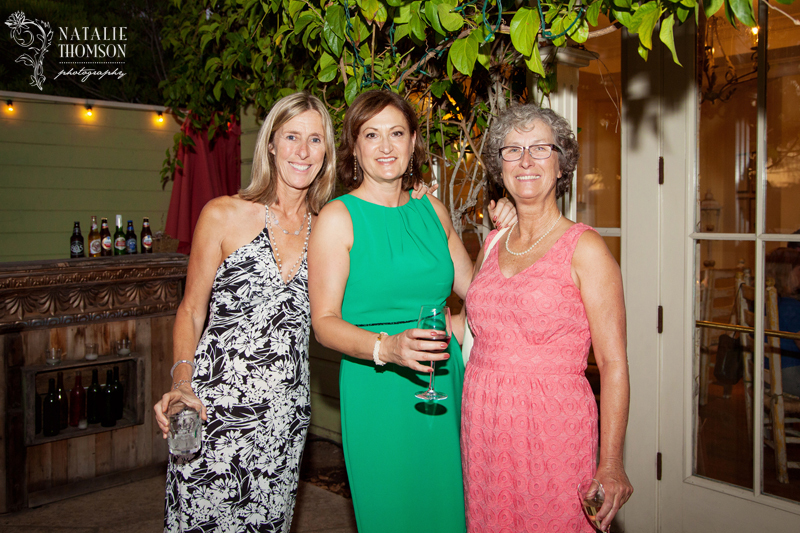 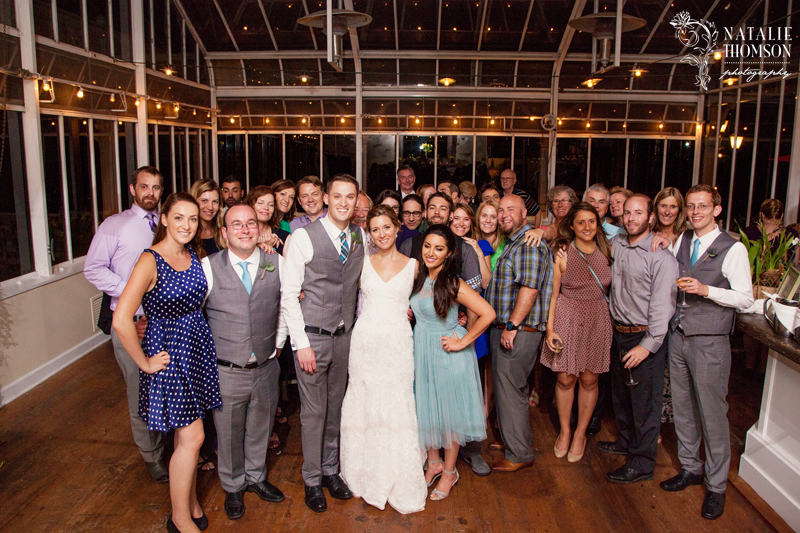 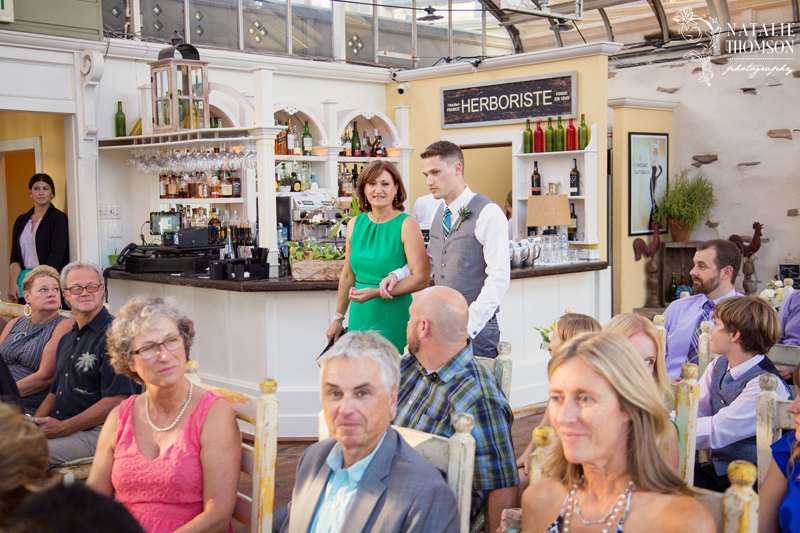 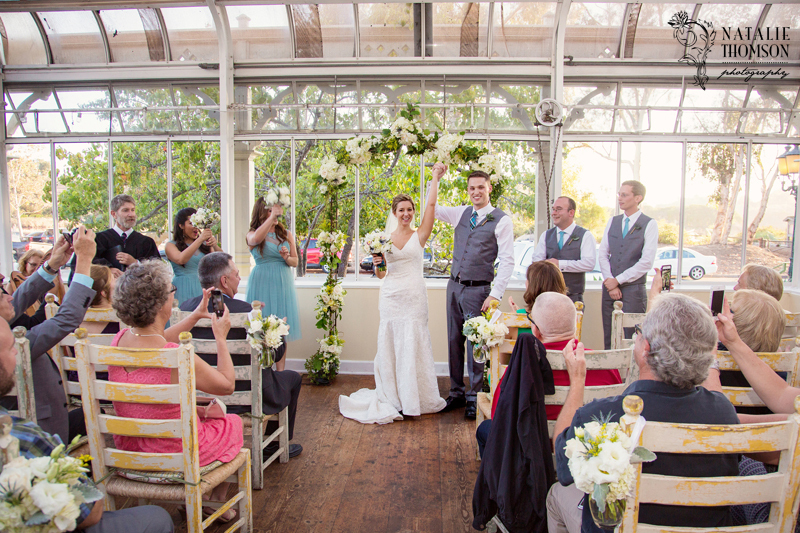 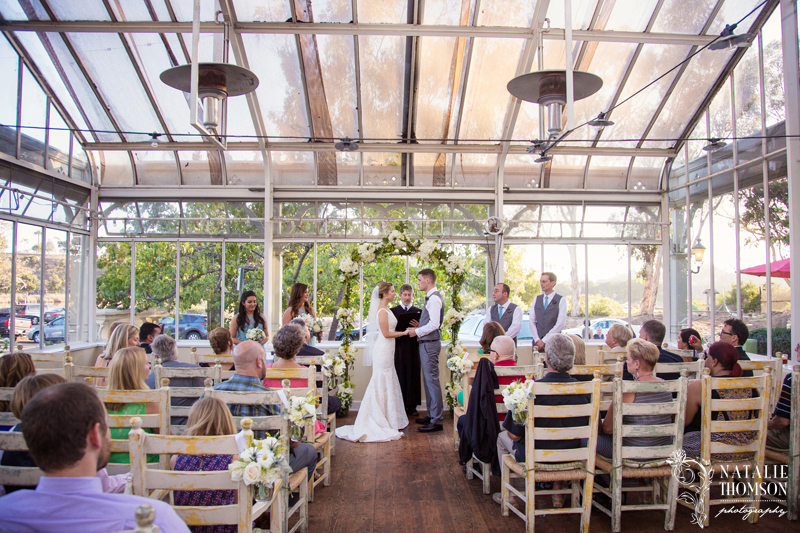 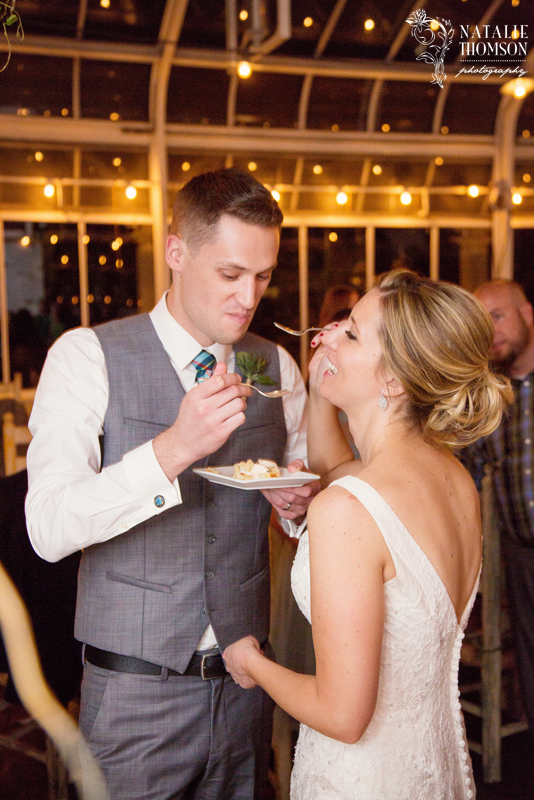 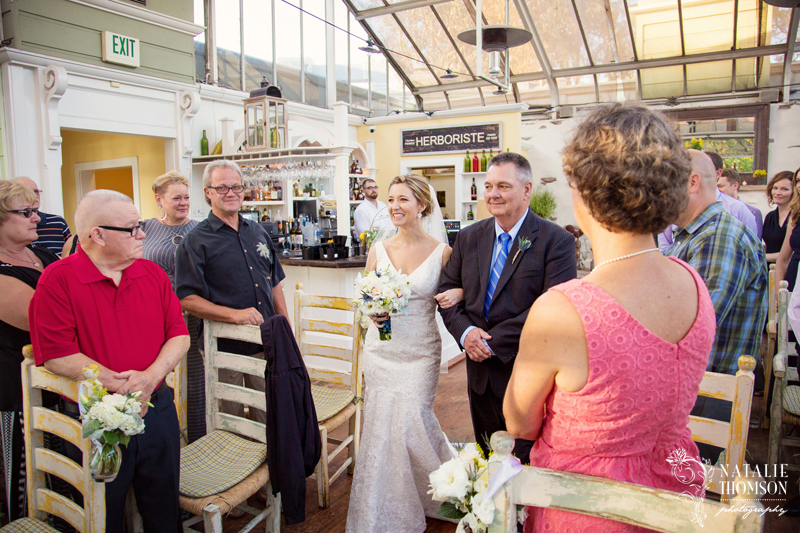 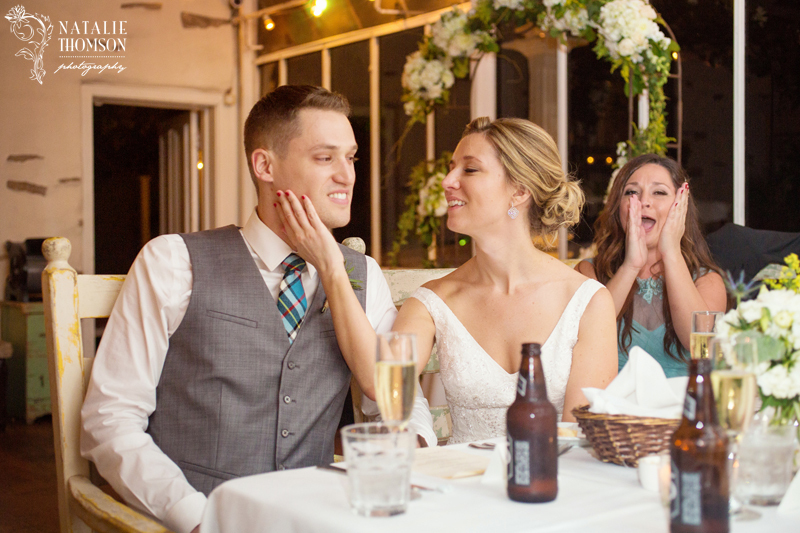 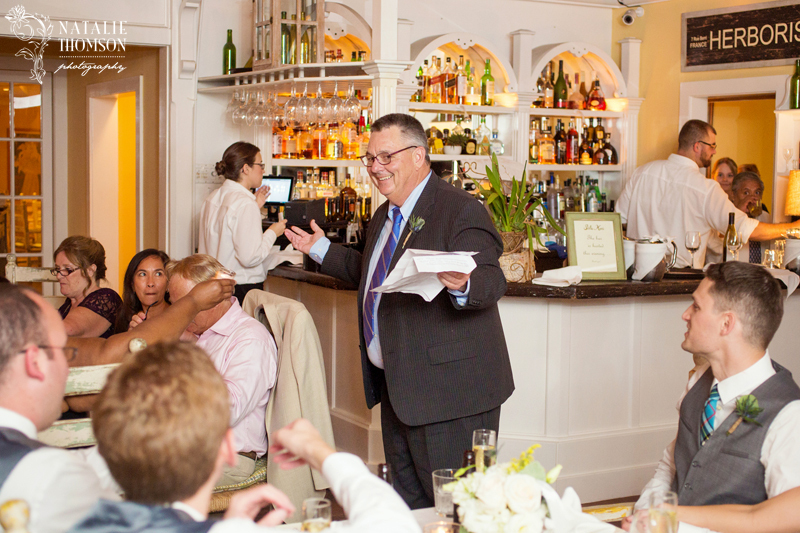 Stella Mare's greenhouse room was the perfect venue for their intimate wedding and dinner service! 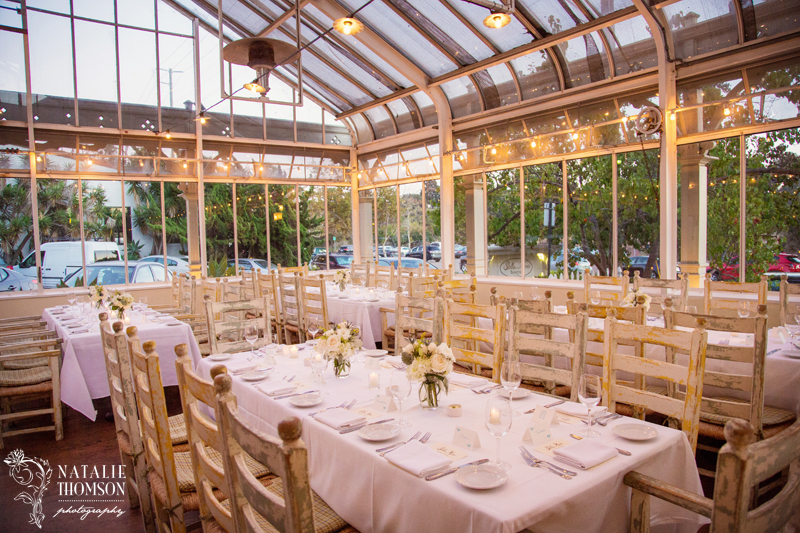 The food was excellent and the space was perfect for a guest count of 38. 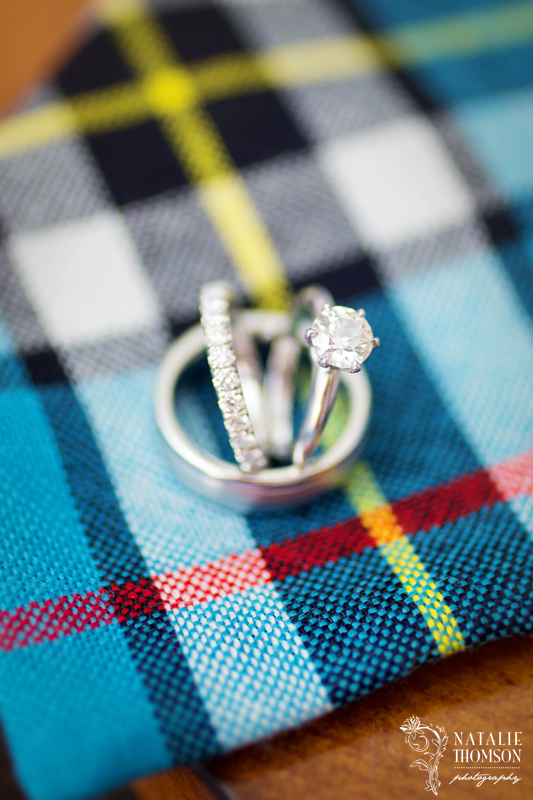 The tartan (a.k.a. 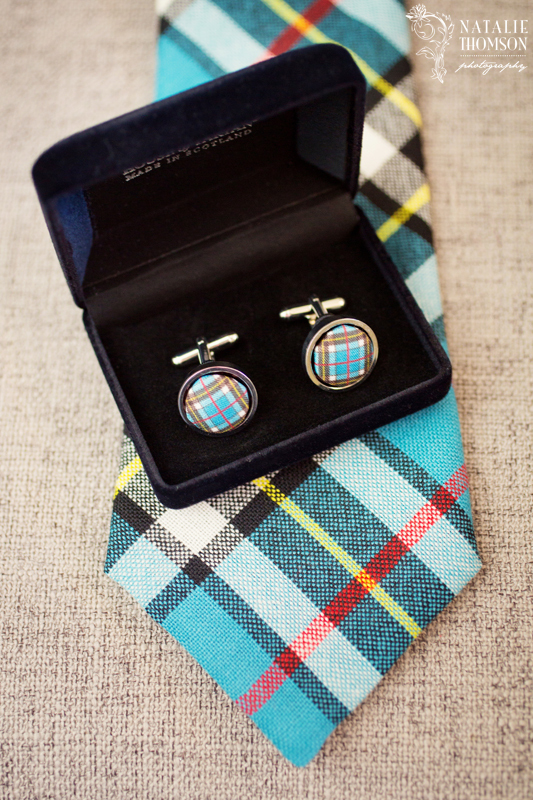 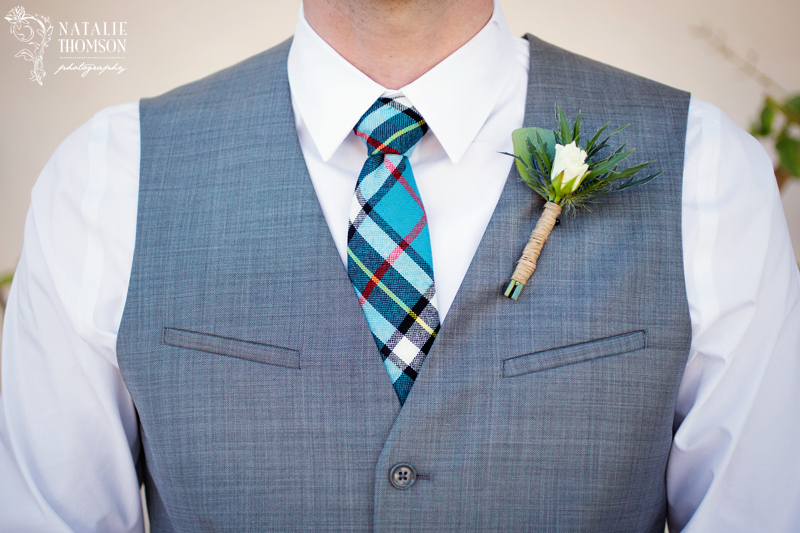 plaid) details and purple thistles were a nod to our Scottish roots, being from Scotland! 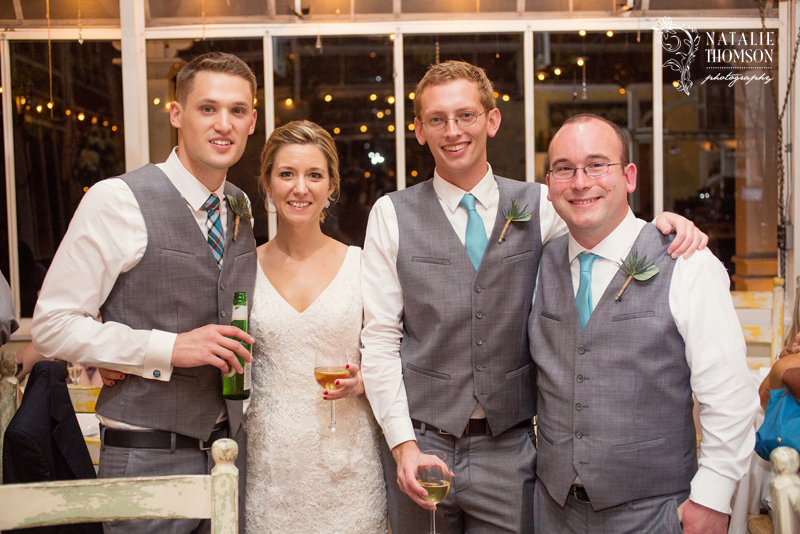 I hope you enjoyed you day Paul and Jenn- thank you for letting me be a part of it!